Jalen Hudson | Clarksville Sports Network - Clarksville Tennessee's most trusted source for sports, including Austin Peay State University. 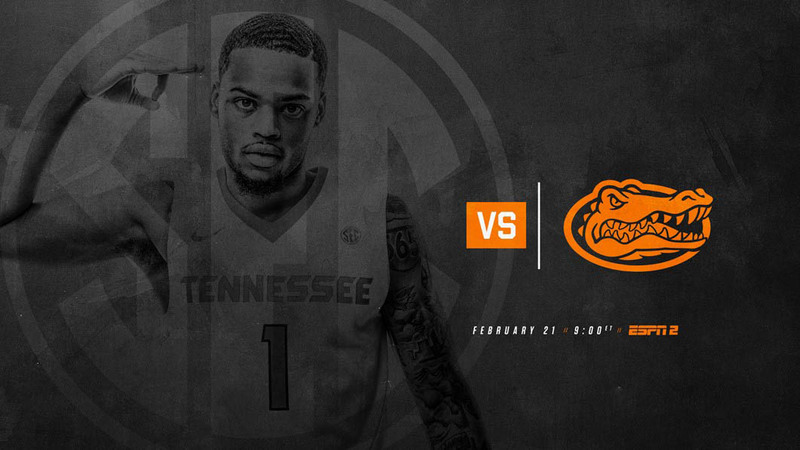 Knoxville, TN – With the regular season nearing its end, No. 19 Tennessee is set to face the Florida Gators at Thompson-Boling Arena in a huge matchup on Wednesday night. The game tips at 8:00pm CT and will be televised live on ESPN2 and streamed online via WatchESPN. The Volunteers (19-7, 9-5 SEC) have just four games left and each one is equally as important when it comes to a top-four seeding for the SEC Tournament in two weeks. UT currently sits in second place, one game ahead of a four-way tie for third place, including the Gators. 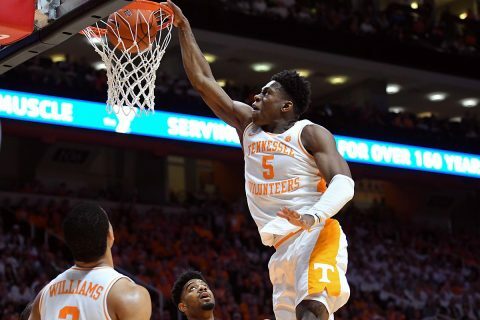 While its toughest games are out of the way, the league is as deep as it has ever been, so Tennessee will have its hands full down the final stretch to secure the valuable double-bye.